It’s nice to do things with friends and family at this time of year. You may not have time for any big event or get away i.e. like me your diary is soooooo full up till Christmas. If you can squeeze an extra special trip around Christmas time it’s well worth the effort. We are coming closer and closer to Christmas now but sometimes the last minute plans are the best! Personally, I think I’m going to arrange stuff for the days after Christmas. Make a day of it in London. I love having a wander around London and looking at all the Christmas lights and decorations. Go to some of the big stores to see their festive window displays. Head to Winter Wonderland at Hyde Park – free entry. Open from 10am to 10pm (from 21st November 2014 – 4th January 2014). Then grab some skates for ice skating at Somerset House (11th December 2014 – 11th January 2015) or just sit in the Fortnum’s Lodge with a large glass of bubbly and feel smug that your not falling over on an icy sheet! After some serious window shopping stay in the west end for a mulled wine at a pub, (try Pontefracte Castle on Wigmore street) for a warming end to the day. I always fancy heading to a Christmasy market abroad. But how about doing something different and heading to Paris for a Christmas outing? 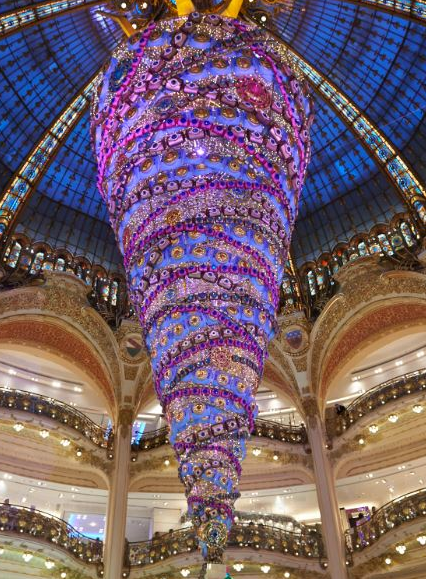 Head to Paris to see the amazing Christmas Tree at the Galeries Lafayette. Go ice skating at the Grand Palais des Glaces, see the lights at the Champs-Elysees and the Christmas tree at Galeries Lafayette (with of course a bit of shopping!). For a long weekend away, you can’t beat New York New York, especially at Christmas time. I love the hussle and bussle on the streets in NYC and they really know how to make it feel Christmasy. Go shopping and meet Santa on the 8th floor at Macys Santaland. The Mommy Poppins gives a great breakdown of the what’s, where’s, when and who’s of Santaland (buy tickets in advance). See the Christmas tree and go ice skating and then do a bit more shopping at the Rockefeller Centre! Categories: Out Of Office, Shopping | Tags: Christmas, Christmas tree, event, Family, Friends, Ice skating, London, NYC, paris, shopping | Permalink. If you struggle every year at Christmas time with wrapping presents. I’ve come up with some ideas for you! Get someone else to do it!! Jane is a British ribbon designer and gift wrapping specialist and does courses in London, Glasgow, Hampshire, Manchester and Lincoln. Get yourself a book on gift wrapping! Books are great for giving you instructions to follow combined with some fab creative ideas. If you can’t manage wrapping due to a severe lack of wrapping abilities or you just don’t know when you are going to find the time you should get someone else to do. There are people out there whose job it is to wrap your gifts and take some of the Christmas pressure from you. Don’t forget that most top retailers online and in store will offer a gift wrapping service. Even if they don’t offer one the rest of the year, often they provide a special one at Christmas. To help make your gifts look a bit different try getting your wrapping paper from somewhere different this year! Paperchase: I love paperchase. They seem to come up with such a nice range of different ideas each season. I buy a lot of their wrapping paper! From maps of London to a full skeleton. Different and unusual wrapping paper at the National Gallery. Jean Means sells a range of nice ribbons, paper, bags, ribbon spools and other lovely bits and pieces for wrapping requirements on her website! At the Dot Com Gift Shop they stock a huge range of different wrapping papers. From flowers and Paris fashion to Christmas foxes! See some ideas for wrapping your gifts in different ways here…. Full disclosure: Just to let you know that I’m an Associate of Amazon and if you purchase some of the items on this page via clicking on the pictures I will get a small payment! Categories: Non-work Courses, Out Of Office, Shopping | Tags: Book, gift wrap, Lessons and Classes, Luxury, paper, presents, ribbon, service, shop, wrapping | Permalink. 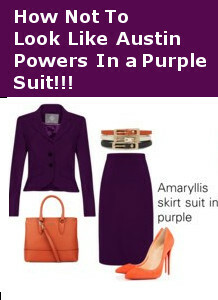 Just a little side note on working with 2 colours in an outfit. My personal feeling is that you need a neutral colour in there as well. Neutral colours such as black, white or grey. In my opinion if every accessory you add is red, it looks very much like you’ve tried way too hard! So now you need to pick your blue dress. These are some of the best ones for work I have found in the shops at the moment. Categories: Dresses in colour, Outfit Styling, Professional Outfit Building, Shopping | Tags: accessories, blue, dress, Fashion, handbag, red, scarf, Styling, Tips, Women | Permalink.